Tactical drop leg pistol holster with extra magazine pouch on the front. Tactical drop leg pistol holster with extra magazine pouch on the front. Nice quality tactical drop leg holster assembly with extra magazine pouch. Easy to secure to tactical utility belt. Nice quality tactical drop leg holster assembly with extra magazine pouch. 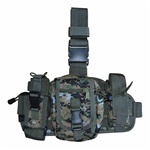 Easy to secure to tactical utility belt. Nice quality tactical drop leg holster assembly with extra magazine pouch. Easy to secure to tactical utility belt. Cost effective black ankle holster for concealed carry. Designed for small pistols. Excellent quality drop leg magazine pouch assembly. 2 magazine pouches. Excellent quality drop leg magazine pouch assembly. 2 magazine pouches. Excellent quality drop leg magazine pouch assembly. 3 magazine pouches. Excellent quality drop leg magazine pouch assembly. 3 magazine pouches. Excellent quality drop leg magazine pouch assembly. 3 magazine pouches. Excellent quality drop leg magazine pouch assembly. 3 magazine pouches. Nice quality tornado tactical leg holster with extra magazine pouch. Velcro secured holster for a variety sizes of pistols. Nice quality tornado tactical leg holster with extra magazine pouch. Velcro secured holster for a variety sizes of pistols. Nice quality tornado tactical leg holster with extra magazine pouch. Velcro secured holster for a variety sizes of pistols. Tactical thigh holster assembly with extra magazine pouch. Easy to secure to tactical utility belt. Tactical thigh holster assembly with extra magazine pouch. Easy to secure to tactical utility belt. Tactical thigh holster assembly with extra magazine pouch. 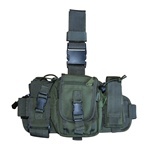 Easy to secure to tactical utility belt. Tactical leg holster with MOLLE web straps and extra a mag pouch. Fits fully equipped pistols & MP sub-machine guns. Tactical leg holster with MOLLE web straps and extra a mag pouch. Right Handed. Fits fully equipped pistols & MP sub-machine guns. Tactical leg holster with MOLLE web straps and extra a mag pouch. Fits fully equipped pistols & MP sub-machine guns. Tactical leg holster with MOLLE web straps and extra a mag pouch. Fits fully equipped pistols & MP sub-machine guns. Tactical leg holster with MOLLE web straps and extra a mag pouch. Fits fully equipped pistols & MP sub-machine guns. Tactical leg holster with MOLLE web straps and extra a mag pouch. Fits fully equipped pistols & MP sub-machine guns. Deluxe fully lined ankle holster for concealed carry. Fits .22 - .25 Cal. small Autos and small .380's. Deluxe fully lined ankle holster for concealed carry. Fits 2" Snub Revolvers. Deluxe fully lined ankle holster for concealed carry. Fits Kel-Tec, Sigma, Kimber 380, AMT .45, Kahr Mini 9/40. Deluxe fully lined ankle holster for concealed carry. Fits standard 380's, such as Walther PPK, PPK/S, Sig P230, Makarov 380, Bersa 380, Colt 380, Beretta 380 and Star 380. Deluxe fully lined ankle holster for concealed carry. Fits Glock 19, 23 and Baby/Pocket Glock 26, 27. Tactical Drop leg holster. Fits Compact 9mm pistols, such as FireStar. Tactical Drop leg holster. Fits Glock 19, 23 and Baby Glocks. Tactical Drop leg holster. Fits full size Glocks, Rugers, S&W, Sigs Autos with 4" barrels. Tactical Drop leg holster. Fits full size Autos with under barrel laser sites. Tactical Drop leg holster. Fits Colt and Springfield 1911 large frame Auto. Tactical Drop leg holster. Fits Revolvers with 4" barrels or Autos with 5" barrels. Tactical Drop leg holster. Fits Beretta 92 / 8000 / 8010 and Taurus 92 / 99. Tactical Drop leg holster. Fits large frame Autos with Bull Barrels up to 6". Tactical Drop leg holster. Fits Revolvers with 6" Barrels. Tactical Drop leg holster. Fits Desert Eagles.